3-Piece Comforter Sets Only $19.99! Down From $80! You are here: Home / Great Deals / Lightweight Microfiber King Comforter Only $19.99! Down From $100! 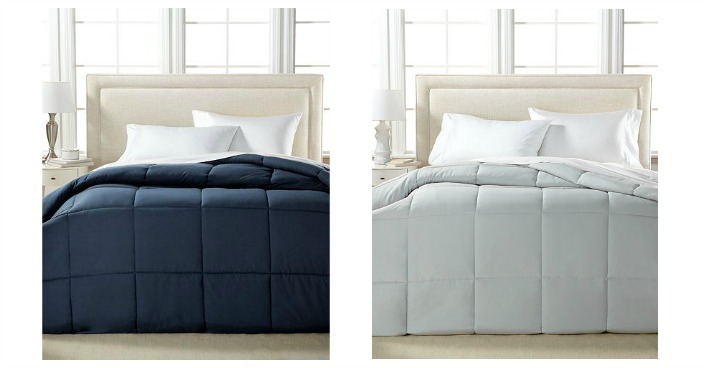 Lightweight Microfiber King Comforter Only $19.99! Down From $100! Macy’s has this Lightweight Microfiber King Comforter on sale for $19.99 (Reg. $100)! Plus you can get FREE shipping on orders over $25 or with any Beauty purchase! Find luxurious comfort in the Royal Luxe king down alternative comforter. Its rich, classic color coordinates with a variety of bedroom decor.